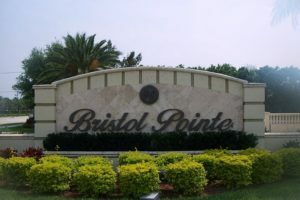 Are you looking for a pet-friendly gated community in Boca Raton FL? Are you frustrated looking at listings online because they say the community has “pet restrictions?” What exactly does pet friendly mean? Well, it frustrates me too,! And when I say Boca Raton, I am including the nearby cities of Delray Beach, Boynton Beach and Lake Worth, Florida. What does “Pet friendly” mean? Does pet friendly that mean a gated community will be pet friendly to your two Golden Retrievers or will they take your 12 lb Shih Tzu? How about if you have 3 Puggles or 4 Dachsunds? Will a gated community in Boca Raton Florida be pet friendly to your pets? More often than not, real estate listings simply say “pet restrictions.” And, believe it or not, in south Florida that could mean a gated community is pet friendly to a bird or goldfish! I know, it’s crazy, but it’s the truth. And I already know you aren’t going anywhere without your fur kids, because I wouldn’t go anwhere without mine. My dogs are my kids. Plain and simple. If someone suggested I get rid of one, I’d get rid of that person instead! Some people may not agree, and that’s ok, but that’s just the way I am. I got into this pet-friendly niche many years ago quite by accident. My husband and I have two small dogs that weigh a whopping 15 lbs total, a pair of paps, as I like to call them. We were looking at a pet friendly oceanfront condo in Delray Beach, Florida, at the time. The pet restrictions at this particular ocean condo said we could have one dog with a maximum weight of 60 lbs. This was a no-brainer to me – one dog 60 lbs or two dogs totaling 15 lbs – but not to the particular condo. They turned us down with a flat NO! I had a hard time wrapping my head around this. In fact, I still do. It made absolutely no sense to me then and it still doesn’t years later. Getting back to pet friendly gated communities in Boca Raton, Delray Beach or Boynton Beach, FL, we have personally owned and lived in four homes in four different gated communities in the past 23 years; two in Boca Raton, one in Delray Beach and on in Boynton Beach. The rules and regulations for each community have been different. Why, you ask? Because when a gated community is built, homeowner’s documents are drawn up, usually by an attorney. Within those documents, are detailed the bylaws and rules and regulations, including the pet restrictions, of the community. Most pet friendly gated communities will take two dogs or cats. Makes sense, right? But what happens if the gated community in Delray Beach FL you’re looking to buy in takes two pets with a maximum weight of 25 lbs, and you have two beautiful Wheaten Terriers that weigh 35 lbs each? Uh-oh, now you have a problem. What happens if you have three small Yorkies? Or two papillons and and a cat? Or three cats? No big deal right? They’re so cute, so who will care. Not so fast! This is yet another potential problem. That gated community you are looking in in Boynton Beach may not take them. But, do not be discouraged! There are pet-friendly communities in Boca Raton, Delay Beachand Boynton Beach, Florida that may still work for you. Your choices will be more limited but they do exist! Dog lovers and cat lovers love their pets. No question about that!. And to some people, they’re like potato chips – you can’t just have one! Suppose you have three dogs and one is a German Shepherd. Now, we have a totally new situation to deal with, as some communities place restrictions on some breeds. But before you panic, this is one that may be solvable. Your choices with dogs may be limited in dog and cat friendly gated communities, but they do exist – except if it involves what they term “aggressive breeds” or “restricted breeds.” Every gated community is different. I don’t make the rules, but I am expert in finding solutions for my clients in gated communities. And, if I don’t have the answer, I will get to the right source to get it for you. Many pet friendly gated communities in Boca Raton, Delay Beach and Boynton Beach FL do not allow what they consider “aggressive breeds.” What they are referring to are pit bulls. However, some dog friendly gated communities have taken it a step further and banned Rottweilers, Dobermans, Chows, Presa Canarios, American Staffordshire, German Shepherds and more. If you have a pit bull, I know you love him or her dearly, but my best advice is to plan on buying a home on a street, not in a gated community. You will have far less aggravation in the long run. Hey, I’m only the messenger here. I, personally, was bitten by a 20 lb Chinese Crested, but that’s another story. But, rules are rules and we have to follow the rules. Some homeowners associations are more easy going and some are real sticklers with the rules. In other words, some may be willing to let a third dog into a gated community in Boca Raton while others may not. Then there are potential issues you may have with a neighbor. Yes, the neighbors are there and they see. You can’t hide them. So, I ask: Why not go to a pet-friendly gated community that is pet friendly to your pets? Who wants to buy a home and have this headache? Do you really need to move and then have to deal with this? Do you really want to buy a home in a pet friendly gated community in Boynton Beach and have to sneak your dogs in? I don’t think so. It’s a much better idea to go where your cats and dogs will be welcomed. Ask me about, Does 3 lbs of dog really matter in Boynton Beach FL? This is a true story, and I’m happy to share it with you. Your dogs and cats are your family. I know this, because I live it every day. Our dogs are our family. They are there at the door to greet us whether we are gone five minutes or five days. They are always happy to see us. They’re always great company and entertain us with their antics. We adorethem. I cannot imagine my life without dogs, but, hey, that’s me. I respect those who cannot, as well. There are people with terrible allergies and some who may be afraid. Do you really want to buy a home in a pet friendly gated community in Boynton Beach and have to sneak your dogs in? I don’t think so. It’s a much better idea to go where they will be welcomed. Just ask me about, Does 3 lbs of dog really matter in Boynton Beach FL? This is a true story, and I’m happy to share it with you. i am often asked if I can provide a list of gated communities in Boca Raton FL that are pet friendly. I have never done it before, but I’m going to do it now with the proviso that you must know that pet restrictions can change from year to year. I have seen it happen. Please believe that just because a listing says two dogs doesn’t make it so. The Rules and Regulations in effect in the gated community, at the time of the sale, are what governs. Buyer Beware! I have seen gated communities with no pet restrictions, except for breed, change their rules to a maximum of four dogs. I have seen gated communities that allowed two dogs with a maximum weight of 25 lbs to one dog with a maximum weight of 25 lbs. It does happen. Unfortunately, not everyone feels as about animals as we do. Don’t get caught! Another true story – a woman called me in a panic. She had bought a house only to find out later that a particular gated community in Boynton Beach accepted one pet. The problem was she had three small dogs. Her deposit was down and she was out money for an inspection – not to mention the time wasted. Unfortunately, I couldn’t help as she already had an agent. But, this should have been checked prior. Again, Buyer Beware! Be smart – hire a Buyer’s Agent. They are FREE and they work for you. They will fight for you to get you the best deal. They are on your side, not the sellers. Please don’t think you are going to save money by going directly to the listing agent. This is a myth. What happens, in reality, is that the listing agent collects a double commission. Buyer Beware and be represented! Gated communities are a way of life in south Florida, unlike many other areas of the country. Where I come from in New York, there were very few. They are an accepted way of life in south Florida, and for the most part, they’re nice, easy living – except when it comes to pets. Of course, this depends on which gated community you choose, what type and how many dogs or cats you have. You don’t want to be caught in a situation where you are forced to give up a dog or cat or sell your home. That’s insane! It’s especially insane when the research today points to how good pets are for your health. Read why Science Says Your Pet is Good For Your Mental Health. In Boca Raton, Delray Beach and Boynton Beach, we have three types of gated communities. We have all age gated communities. We have active adult 55+ gated communities, and we have equity country clubs. For the purpose of this article, I am talking about all-age gated communities in south Florida. Let’s take it a step further. We have manned-gated communities, unmanned gated communities and even single family homes with their own private gates. Manned-gated communities are communities with a guard at the gate. When you pull your car up to the gate house, you will be met by a guard. You will be asked to present your ID, usually a Driver’s License. The homeowner will have already called you in, or the guard will call to let the homeowner know you have arrived. There are a few different types of unmanned gated communities in Boca Raton, Delray Beach and Boynton Beach FL. The newest unmanned gated communities in Boca have a virtual call box. Here you pull up to the gate, press a button and speak with a person at the other end. There may or may not be a screen involved. You will likely be asked to insert your ID here, as well. Another type of unmanned gated community is with a telephone call box or just a keypad. Homeowners may access the community with a card, clicker or sticker on their car but, as a visitor, you will need to talk to either the virtual call box, have a code or wait to be buzzed in to gain access to this type of gated community. Some people like gated communities; other do not. It’s a personal choice and only one you yourself should make where you feel most comfortable. Gated communities in Boca Raton, Delray Beach and Boynton Beach FL often have a clubhouse with pool and fitness center. Depending on the size and type of community, there may be a social aspect involved. Some gated communities take care of lawn care and basic cable as part of your monthly maintenance. We have pet friendly gated 55+ communities in Boca Raton, Delray Beach and Boynton Beach Florida. I will discuss active adult 55+ gated communities in more detail in another article. Crazy as it sounds, many non-gated communities in Boca Raton FL have pet restrictions, as well. Even though the community may not be gated, the subdivision may still have rules and regulations that spell out the pet restrictions. Always remember to check the pet restrictions for the gated community in Delray Beach FL you may be interested in. Rules and Regulations in gated communities in Boca Raton Florida are mandatory – not optional. There are rules and regulations in gated communities regarding many things, not just dogs and cats. When it’s time to paint your house, you will be given a choice of several colors. Odds are you can’t paint it purple! This will not be allowed. We lived in one all-age gated community where someone placed a full-sized cow on the front lawn complete with a red bow and bell. Full sized, mind you! The neighbors complained. The homeowner’s association had them remove it. Gated communities in Boca Raton Florida like to keep things neat and uniform looking. Trash is placed outside certain days and times of the week and receptacles are brought back in. Can you live within these rules? Many people do and love them, but make sure you can before buying a home in a gated community in south Florida. If you want no restrictions and no one telling you what to do, then life in a gated community is not for you. Or, if you have many too many dogs, cats or even birds, a gated community is probably not for you. They are not for everyone, but they are for many. Please bear in mind, if you move to a house within city or county limits, some cities and/or the county still have restrictions on how many pets you may have. Check them. Again, this is a personal decision and one that only you can make. It should be well thought out. Call, text or email me with any questions you may have regarding gated communities in Boca Raton, Delray Beach, Boynton Beach or Lake Worth Florida. Dog walkers in gated communities in south Florida get to know each other. The dogs make friends and look forward to their daily walks. It’s great exercise for the dogs and for you. Walking The Dog: Yes, It Counts as Exercise. It’s an especially nice part of the day, in my opinion. It’s one of my favorite times of my day – to see the dogs and how excited they get if a bird or a bunny happens by.. They’re in heaven, and so am I.